This recipe was inspired from the one that I saw on Sissi’s blog, With a Glass, Kimchi Fried Rice, since then I wanted to make this kimchi fried rice. Well, I got a big jar of kimchi from Costco and here I am, for the very first time cooking with kimchi. 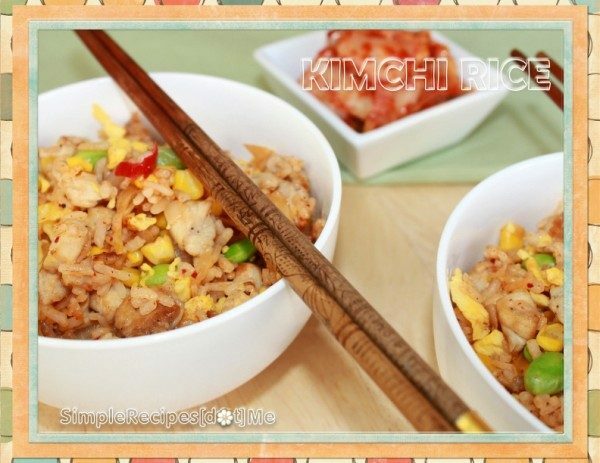 What is kimchi? 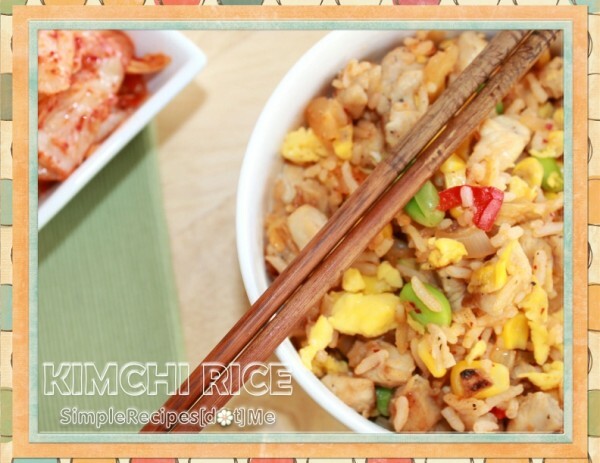 Kimchi is a fermented dish which uses cabbage or radish, made with a mix of garlic, salt, vinegar, chili pepper and other spices. Yes, it is true, you might need to acquire the taste of it…especially the smell. 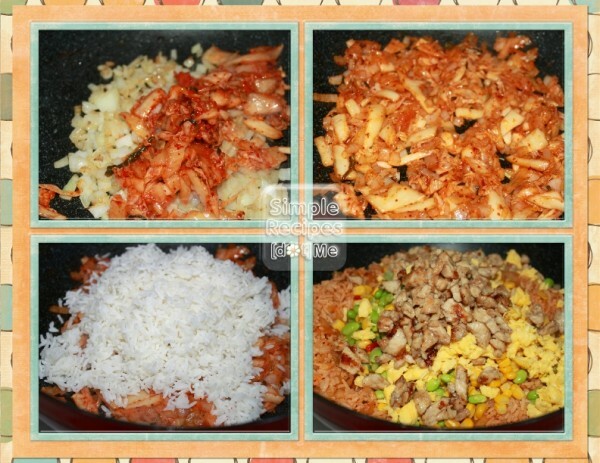 Can you believe the kimchi is used in almost everything from soups to pizza topping and hamburger…yes, you read it right! Anyway, once you get acquainted with the smell and taste you might even crave for it. 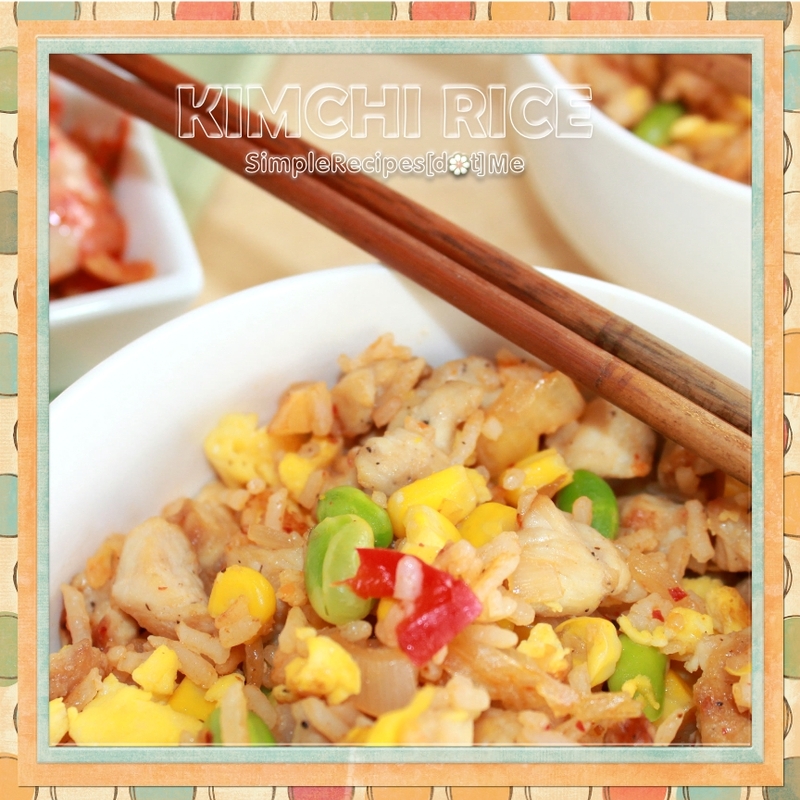 I pretty much adapt my “regular” fried rice recipe and just added kimchi to it. Marinate the chicken breast with the garlic, soy sauce, ½ tablespoon olive oil, salt, pepper and corn starch. Let it sit for 5~10 minutes. Quickly bring water to boil and cook the frozen vegetable as directed in the package, do not overcook. Drain and set aside. In a wok sauté the chicken in 1 tablespoon of olive oil, browning slightly. Once the chicken is cooked set aside. In the same pan add one more tablespoon of olive oil and add the onion until slightly golden. 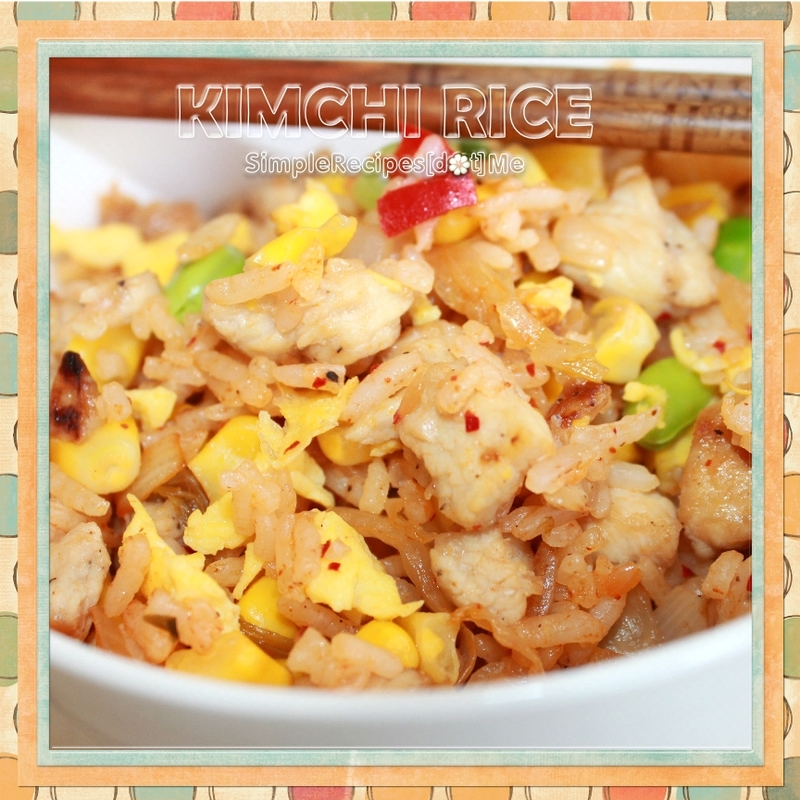 Add the kimchi and mix gently, then add the rice, stir until well mixed. 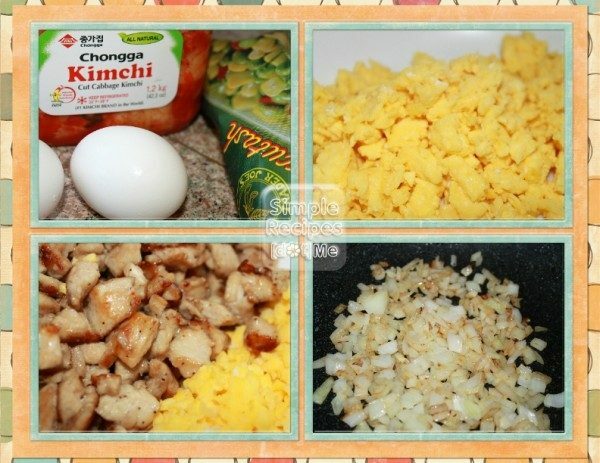 Once the rice and kimchi are well blended, add the scrambled egg, veggies and the chicken. Stir gently until uniform. Add salt and pepper to taste. Did you know that kimchi in Korea is considered in “super food”? Kimchi is loaded of fiber, vitamins A, B and C and the main claim is due to the “healthy bacteria”, lactobacilli the ones that are found in yogurt, therefore helps digestion.